Kate McDonnell's introduction to folk music was conventional, if precocious ? as a four-year-old, she heard a Joan Baez album in her mother's collection. Her reaction was somewhat less conventional: she picked up her mom's guitar, taller than she was, and started to teach herself how to play the instrument, strung for a righthanded player, lefthanded ? ?upside down and backwards,? using her stronger right hand for chording and ignoring the customary positioning of the guitar strings. Armed with her unusual guitar style and crystalline soprano voice, Kate teamed with her twin sister to perform as ?Katie and Anne McDonnell? around their Baltimore hometown during their high school and college years. After a four-year sabbatical from performance in the mid-'80s, during which time she moved to New Haven, CT, and worked at editing and AIDS social service jobs, Kate returned to music by partnering with guitarist Freddie Tane, at one time a member of Bill Haley's Comets. McDonnell-Tane cut two self-released albums in their 3-1/2-year career and opened shows for touring stars such as Bob Dylan, Willie Nelson, Judy Collins, Arlo Guthrie, Leo Kottke, and Kathy Mattea. Kate also found time to join an all-female trio, Colossal Olive, which gigged in the New Haven area. 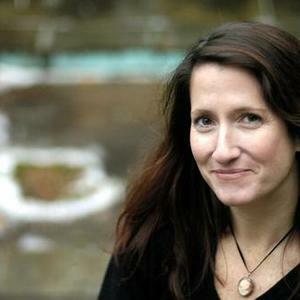 In 1989, Kate started writing her own songs and, not coincidentally, began racking up serious critical recognition in the early '90s, when she was named a New Folk Finalist at the wellknown Kerrville Folk Festival in Texas and a finalist at the Falcon Ridge Folk Festival Showcase in New York State. In 1992, she released her self-produced debut album, Broken Bones, on her own Dog-Eared Discs label (reissued by Waterbug in 1994) and was voted the #1 singer-songwriter in New Haven in the New Haven Advocate's poll. The CD was praised in prestigious folk periodicals ? Sing Out! called her a ?strong vocalist and guitarist [with an] outstanding ability to write excellent first-person songs,? and Dirty Linen described Broken Bones as ?a striking showcase for her skills as a songwriter and performer? and called Kate's voice ?flexible, adventurous and moving? and her songs alternately ?playful . . . and profoundly moving.? More gigging, acclaim, and recordings were to follow. Kate's first of seven European tours to date came in 1998, coinciding with the release of her second album, the appropriately titled Next, on Waterbug. Folk radio airplay and fellow musicians helped spread her name: Jonathan Edwards called her ?one of the premier female solo acoustic acts around,? and Bill Staines dubbed her ?one of the finest writers and performers I've heard in a long time.? In 1999, Kate appeared on the internationally syndicated ?World Cafe? radio show and performed at the Kennedy Center in Washington, D.C. Another career highpoint followed in 2001 with the release of her third CD, Don't Get Me Started, on Dog-Eared Discs, when Kate performed at the folk world's premier event, the legendary Newport Folk Festival. The Village Voice predicted in its review of the CD that ?you get the feeling you may see others covering her tunes in the future, as she is a gifted writer?? The Swiss label Brambus Records picked up Don't Get Me Started for overseas release and it was soon on the top five list for U.S. and international folk airplay.